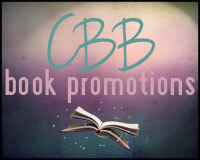 Bittersweet Enchantment: Blog Tour: The Exemeus by Folami and Abeni Morris + Excerpt + Giveaway | Win a Kindle, Amazon GC, and more! 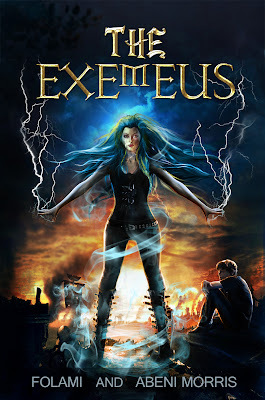 Blog Tour: The Exemeus by Folami and Abeni Morris + Excerpt + Giveaway | Win a Kindle, Amazon GC, and more! In a world where fear is the only currency, Dephon has committed the ultimate crime:inspiring hope. His only goal is to make it safely through ninth grade, but on a post-apocalyptic Earth run by the Treptonian government, it isn’t that simple. Heir to a legendary power, Dephon Johnson is the only threat to the government’s rule. And on Trepton, all threats must be eliminated. When hundreds of assassins are dispatched to neutralize him, Dephon is forced to fight back. His only chance of survival is to enlist the aid of the greatest warrior the world has ever known. The only problem is, she's been dead for 13 years. I was trying to think of a surefire way to kill David Morrow, but Virginia’s constant chatter kept disrupting my thoughts. Instantly, I became nervous. Whenever Virginia said the word wild in that Spanish accent of hers, I either ended up in a lot of trouble or in a lot of pain. When we were really wild, I ended up in both. “I don’t think we should do anything of the sort,” I said as I fumbled in my purse for the key. I shook my head. There he was on the couch. “I’m surprised to find you here, Mr. Smith,” Virginia said cheerfully. She had an amazing talent for keeping the sarcasm out of her voice. “Hello, Ms. Castellanos,” my dad said. He didn’t bother to take his eyes off the television. “Anything interesting on?” She derived perverse pleasure from needling my dad. In the beginning he used to get annoyed, but he’s learned to tune her out. Most of the time, anyway. “You’re not watching this tired old show, are you?” she continued, pointing to the television. “I’ll save you the trouble--he dies in the end.” The vein in my father’s neck bulged, and his jaw clenched. Score, Virginia. As my father grumpily changed the channel, she said, “Oh, I love this show, I’ve seen every episode a million times. Maybe I’ll come back down in a bit and watch some of it with you.” The muscle in Dad’s neck twitched again. Virginia grinned her sadist’s grin, heading up the stairs with a spring in her step. “Bye, Dad,” I said, trying to keep from laughing. “Bye, Hyalee,” he sighed, changing the channel to the local news. By the time I got upstairs, the door to my room was already open and Virginia was rummaging through my closet. “What’re you doing?” I threw myself down on the bed. Kicking off my shoes, I picked up the latest issue of People from my nightstand and flipped through it. My parents had a turtleneck for every occasion--turtleneck evening wear to turtleneck pajamas. Mom never went swimming, but if she did, I was sure she could find a turtleneck bathing suit. “I’m not dyeing my hair. My mom would flip.” Why would I want blue hair anyway? “On the bright side, your dad would only notice if you stood in front of the TV,” she said, holding up a green and blue hoodie to her body before chucking it on the closet floor. Virginia pouted. I hated that look, but I wasn’t going to get dumped and get grounded on my birthday. “Okay, maybe I’ll go to the store and watch you and maybe... I’ll try on a blue wig,” I said, biting my fingernail. I snorted. “You know that’s not going to happen. I have the worst luck.” I pulled on my shoes and grabbed my Dallas Cowboys hat from the floor, placing it on my head. 1 winner will get the Kindle 6" e-ink, 1 will get a $25 Amazon Gift Card and 1 will get a Paperback of Demon's at Deadnight by A & E Kirk. Please enter below using the rafflcopter form below. Thanks so much for hosting a tour stop! Your post looks beautiful! This is an awesome giveaway! I hope I get to read this book! It's looks so awesome :) Thanks for hosting this giveaway! I love the blurb for Exemeus. I love the plot and the conflict of the story. Thanks for the information and the giveaway. The excerpt make me curious with storyline. Wanna read more!! Sounds intriguing! Thanks for the awesome giveaway!